Mangaluru: In a role reversal from last year, Udupi topped the state with 92.2% while Dakshina Kannada, with 90.91%, had to be contended for the second position in the II PUC board examination, results of which were out on Monday. 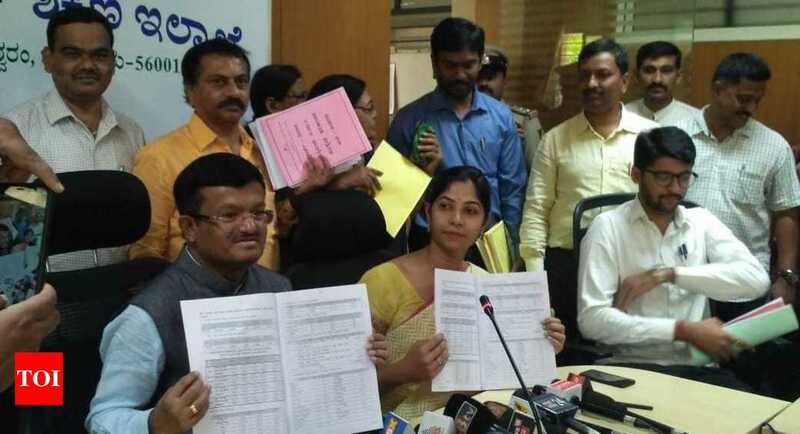 Last year, Dakshina Kannada had topped the state followed by Udupi.A total of 38,069 students, including 429 repeaters and 943 private, appeared for the examination in Dakshina Kannada of which 33,088 cleared the exam. Of these, 15,948 were boys and 17,140 were girls. Of the 3,902 first timers in Arts, 3,330 cleared the exam with 85.34%. As many as 14,419 freshers appeared for Commerce examination of which 13,295 cleared with exam securing a pass percentage of 92.2. Science stream had the maximum number of students with 14,875 of the total 16,329 students clearing the exam with 89.63%. In Udupi, a total of 15,397 students, including 943 private and 429 repeaters, gave their exam of which 13,485 cleared. Among the 14,025 freshers, who are considered for ranking, 12,931 cleared. Among these 1171 from 1365 Arts students, 7067 from 7583 Commerce and 4693 of 5077 Science students cleared the exam registering a pass percentage of 85.79, 93.2 and 92.44 respectively.